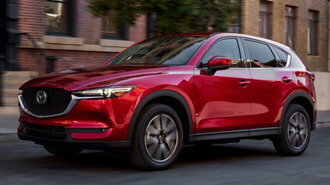 Financing rates for Mazda's SUVs have improved considerably, led by the CX-3 and CX-5 with 0.9% APR for 60 months (down from 2.9% just a month ago). The CX-9 is down to 1.9% (from 2.9%). Leases remain expensive, particularly for the CX-3. Shoppers may find it smarter to upgrade to a Mazda6 for a mere $10/month. Time is running out to score a deal on the 2018 Mazda3. Now that the all-new 2019 model is arriving, Mazda has canceled lease incentives on the outgoing version. As before, the hatchback remains the best deal with up to $3,000 in cashback. We consider that a superior value compared to Mazda's other offer, 1.9% APR for 60 months. While the brand's $750 loyalty discount continues unchanged, a $500 trade-in bonus for Mazda owners has been discontinued. With Memorial Day on the way, we think it's possible that the automaker may introduce regional holiday bonuses worth up to $500. Offers from Mazda vary by region and are set to end April 30, 2019. Examples listed here assume a Los Angeles location unless noted otherwise. Deals in states Mazda thinks shoppers are less likely to lease in generally feature better incentives for buying. Mazda offers tend to feature a nice choice of cashback, finance and lease deals. Traditionally, the automaker avoided offering cash incentives, but that changed about a year or so ago in a major shift in strategy to keep pace with competitors. However, don't expect to see the same level of discounts as Ford and Nissan. Profit margins on models like the CX-5 are quite thin, so aggressive pricing is rare. Holidays are an opportunity to take advantage of some modest extra savings. Mazda has reliably offered a $250 holiday bonus at the very last minute before major holidays. That's nice, but it may not be worth waiting around for if you'd prefer to buy on your own schedule when your local dealer isn't filled with anxious holiday shoppers. Leases are a great opportunity to get into vehicles like the Mazda6. However, models like the CX-9 and MX-5 Miata tend to feature less-attractive leases with effective costs well above vehicles with similar MSRPs. In some cases, it may be smarter to buy, so be sure to weigh your options carefully with the help of your dealer.